Since a certain time, this blog has gone viral, and I received around 100 news subsribers through various channels. Thank you for your interest and support. Though I have shared some tips through my research experience through the series “BTSO, A New Turning Point” posted on my personal page on LinkedIn, I noticed that upon joining academia.edu as a “paid” subscriber, I got more from the analytics features on profile views. For the last 30 days, here is a snapshot of the traffic overview of my profile : increase in Profile Views + 4,400%; increase in document views +1,117%; increase in unique visitors +900%. This means 45 profile views, 73 document views, and 60 visitors. All those results are just not due to “luck” or “marketing gicks”. It is a pure result of hard work. Indeed, I have started uploaded my papers on International Business, International Marketing, Organisational Behavior, Cultural Diversity, Strategic Management, Introducation to Finance, and some of my working-in-progress (WIP) research for my book “Back to Square One”. For the past three weeks, I am thrilled to received notifications from Academia.edu on visitors’ views and downloads of my articles. The “hottest” topic that attracted so many views is on a paper submitted in class on “international organisations and international relations” for my DBA studies at UMEF University. Wow, within one week, this paper is rank among the top 10 search results among over 55’000’000 papers. Quite impressive, isn’t it? Well, I am not trying to boast on my work, my story of this week is just to encourage you to do the same as I have always done as a researcher: work hard, work hard, and keep on trying. found an interesting and useful article on Hayek, translated into Vietnamese. many thanks for the good work. Friedrich Hayek tự khẳng định như là nhà lý thuyết chính của dòng tư tưởng mới về tự do dồn dập đổ về từ những năm 1970. Cận cảnh một người không tuân phục ở đất nước của những người tự do. 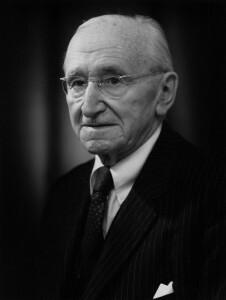 Friedrich Hayek không tin vào một kinh tế học tự chủ.